The TM Series by Crafter features an orchestra body with a vintage styled slotted headstock. Beautifully decorated guitar with Crafter’s distinctive snowdrop position marks on the fingerboard and a pinstripe with abalone soundhole inlay. Electro options for the TM Series comes as a LR-TX (LCD Tuner) PreAmp with L.R. Baggs Element Pickup. 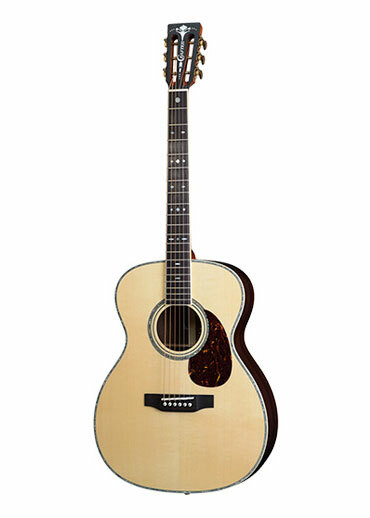 The T Series by Crafter features Solid Engelmann Spruce tops with Rosewood back and sides. One of Crafter’s most popular models. The LITE Series by Crafter was introduced in 2005 and was an instant success due to its solid tops and lower cost. Available in all the popular guitar shapes; Dreadnought, Orchestra and Classical but also as a compact Travel guitar which comes with a Gig Bag. The Crafter TV Series features a solid Engelmann spruce top, mahogany back and sides with mother of pearl position marks and a delicate herringbone soundhole inlay. Comes with a LR-T DX PreAmp with (LCD Tuner) and L.R. Baggs Element Pickup. Here we have the beautiful range of Crafter Slim Body guitars. Ask your dealer about the Crafter Slim Body guitars and play one today. 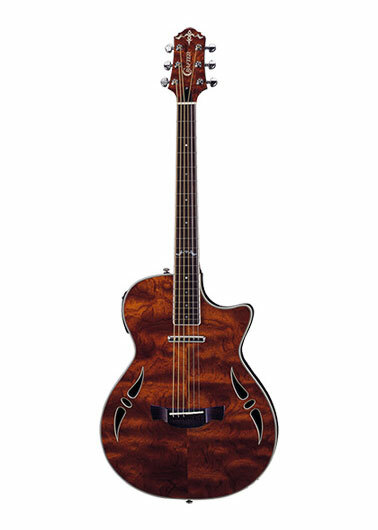 The SA Series (Slim Arch) by Crafter is a hybrid, acoustic and electric guitar featuring a Kent Armstrong Lipstick Pickup (Except SAC-TMVS). Available in Bubinga, Tiger Maple Vintage Sunburst and Black Tiger Maple (12 String Model). 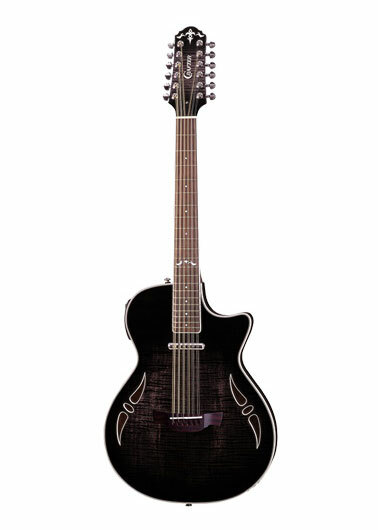 The CITY Series by Crafter is a classical guitar with a difference. Nylon strung but without a soundhole, the CT 125C produces a classical sound with the onboard LR-T FX PreAmp and Element Pickup. 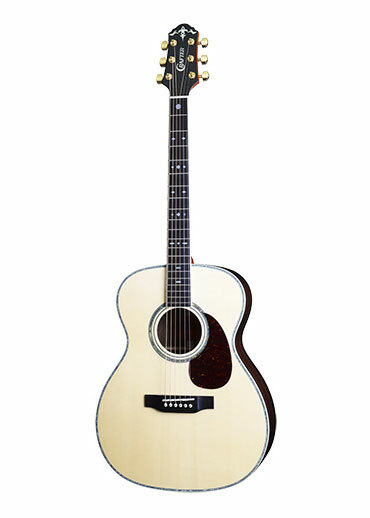 The Traditional Series by Crafter features Solid Sikta Spruce tops with Rosewood back and sides. One of Crafter’s most popular models.